Healthy, Fit, and Focused: Which Fix for You? 21 Day Fix Original or 21 Day Fix Extreme? Which Fix for You? 21 Day Fix Original or 21 Day Fix Extreme? Well, we are only 2 days away from the release of the 21 Day Fix Extreme!!! 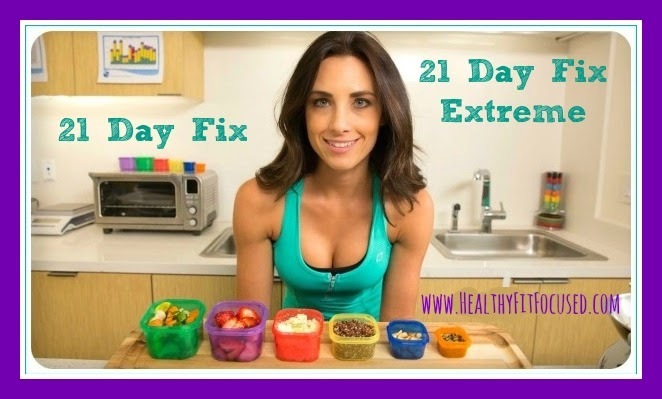 On February 2, 2015, the 21 Day Fix Extreme will take the internet by storm!! I'm super excited for the possibility of this program! 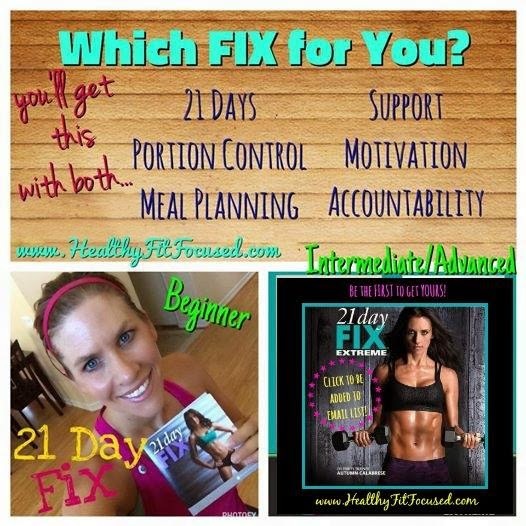 The Original 21 Day Fix was wildly popular and sold out within 48 hours of being released! It has contented to be one of the most (if not the most) popular program...because it combines both your fitness and nutrition! It's a combination of both, which is needed for success in your weight loss or any other kind of transformation you are looking for! Then...because of the ever so popular 21 Day Fix and the results people were having with that...Autumn decided it was time to make a graduate program. A more advanced and extreme program. This was designed to be an extreme program, created for those who already have a baseline of fitness. The 21 Day Fix Extreme is not a beginner program. This is for people who have been through the 21 Day Fix or who have completed other extreme workouts or for those who already have a baseline of fitness! It will take you to the next level in your fitness and nutrition. Autumn is not playing around here. It's an extreme program meant for extreme results! So...here's the deal! This new 21 Day Fix Extreme is NOT for everyone, and I recognize that! So, I want to make sure that EVERYONE has a place to be plugged into this month. Whether you are more intermediate/advanced in your fitness OR if you are just beginning your fitness journey!! There is a place for YOU to get accountability and support in order for you to reach your goals! The question is... WHICH FIX FOR YOU? I have 2 different accountability groups starting on February 9th in order to support YOU and YOUR GOALS!! I am here to give you the support, accountability, motivation, meal plan ideas and tips that you need to get the success you want!! I recommend you start out with the 21 Day Fix (Original) to get you started. This will get you a baseline of fitness and nutrition in order to get you started in reaching your goals! This teaches you the meal plan and gives you the knowledge you need for nutrition to continue a lifelong way of eating! My goal is to help you succeed at this level first before you move on! If you're ready to take your fitness and nutrition to the next level then this is for you! I recommend you have a good baseline of fitness. Each workout uses weights and is not for the beginner! This will be perfect for those who have done those more extreme programs. There is a modifier in each workout, but she is still working hard! This group will be designed to support you through this program and give you the guidance you need to make it through the 21 Days successfully!! 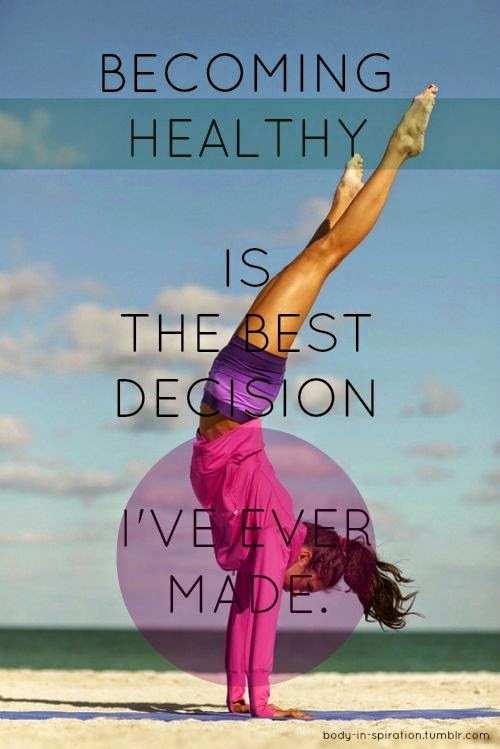 Are you ready to commit to your health and fitness? It doesn't matter what level you are at. You have to start somewhere, and whatever that is, will be the perfect place for you to start! I will be here to support you and help you reach the goals you're looking for! Will you commit today? 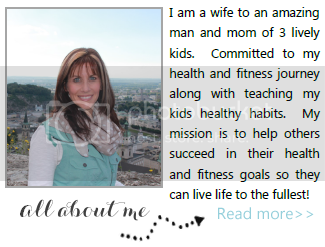 Commit to yourself, your family, your health, your kids!! It's time to make a change, and you are NOT alone! These groups are a SAFE place for you to get the support you need! 3) After you fill out the application, I will get back in touch with you within 24 hours...I will make sure you have all the information needed to be a part of either group!